What you want out of brunch can depend on the kind of day you’re starting. It can be a time to indulge in multiple rounds of mimosas and trips to an all-you-can-eat buffet, a chance to share a few plates with friends or just a quick and healthy meal on the go. Whatever you’re looking for, these 15 new brunch spots will cater to your cravings. Dishes: Get your day off to a decadent start with a s’mores doughssant—croissant dough fried and rolled in cinnamon sugar chocolate cream ($6)—followed by the Steadfast benedict made with brown butter hollandaise, housemade prosciutto, buttermilk biscuits and poached eggs ($13). Drinks: Drink healthy with the Green City smoothie, local Greek yogurt blended with kale, apple, celery and fennel ($8) or treat yourself to a mimosa made with prosecco and cara cara orange juice ($12). Brunch time: 8:30 a.m.-1 p.m. Saturday and Sunday. Reservations accepted. Dishes: The bourbon-focused River North spot spikes its maple syrup, which you can pour over the orange creme anglaise-soaked brioche French toast ($14). The bagel topped with smoked salmon, smoked cream cheese, scrambled eggs and pickled red onion ($19) is a specialty. Drinks: Try the bourbon made exclusively for Baptiste & Bottle by Koval Distillery infused with maple bacon and mixed with bitters in the Breakfast Old Fashioned ($12). You can also wake up with Irish coffee topped with whipped cream and nutmeg ($10). Dishes: If you wake up seriously hungry, head to Wicker Park where you can dig into a plate of biscuits topped with mushroom gravy and fried eggs ($14) or the pub burger topped with American cheese and special sauce ($11.50). Add avocado, egg or bacon to your burger for $2 or mushrooms for $3. Drinks: Drink your greens with the Verde Maria made with tequila, tomatillo, cucumber and avocado and served with Little Kings cream ale ($10) or opt for the refreshing Pub mimosa, a blend of Belgian wheat beer and orange juice ($8). Brunch time: 10 a.m.-2 p.m. Saturday and 9 a.m.-2 p.m. Sunday. No reservations. Dishes: Vegans can still enjoy brunch classics at this Uptown spot, which uses egg substitutes for dishes like the Uptown Greek Omelette made with spinach, tomato, onion, feta, griddled potatoes and toast ($11.50) and Huevos Kal’cheros, which features crisp tortillas, beans, chili sauce, pico de gallo and avocado ($13.50). Drinks: The fast-casual restaurant doesn’t serve any cocktails, but you can quench your thirst with a chilled glass of almond or rice milk ($3). Brunch time: 9 a.m.-3 p.m. Sunday. No reservations. Dishes: You don’t have to wait for the weekend to enjoy brunch fare like the cinnamon roll pancakes, a stack of three cinnamon pancakes topped with vanilla icing ($11) or skirt steak served with two eggs, hash browns and your choice of toast or a housemade biscuit ($17). 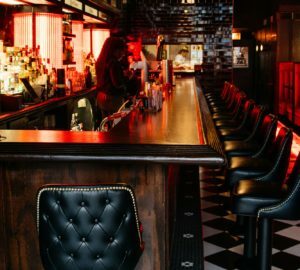 Drinks: The Lincoln Park spot brings its focus on food from the Carolinas to the bloody mary, which is garnished with hush puppies and cubes of Andouille sausage and pepper jack cheese ($8). Brunch time: 9 a.m.-3 p.m. daily. Reservations accepted. Dishes: A $30 brunch buffet features an omelet station and a seasonally changing array of dishes that has included maple-glazed pork belly, housemade pop tarts, brioche French toast and tofu scramble. Drinks: The Logan Square spot’s brunch includes bloody marys and mimosas. Dishes: The veggie-focused West Loop spot’s menu changes frequently, but current offerings include turmeric and mango croissants ($4) and granola griddle cakes served with housemade maple kefir and cranberry-ginger compote ($11). Drinks: The menu of complex cocktails includes the Two Turtle Doves, a blend of two types of amaro, cranberry juice, rum and lemon served warm ($10). If you prefer to start your morning without booze but still want plenty of flavor, opt for the sparkling sencha or white chocolate and lavender matcha ($5). Brunch time: 10 a.m.-2 p.m. Saturday and Sunday. Reservations accepted. Dishes: The tasting menu comes to brunch at the North Center spot, where $40 gets you a set of dishes including ramen, traditional Japanese salads, sashimi with rice, miso soup and sweets such as butter mochi and Japanese whiskey-glazed doughnuts. 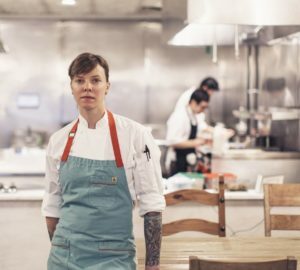 Drinks: The restaurant is currently BYOB, though they plan to start serving cocktails soon. Dishes: Start by sharing a snack such as ricotta toast with black truffle, honey and dill ($6.99) then dig into the River North pub’s signature breakfast sandwich, which is made with fried Mortadella, egg, cheese, giardiniera and pistachio pesto ($11.99). Drinks: Try a twist on the traditional Italian Aperol Spritz with the App App Spritz, which adds in apricot, or the Hugo Spritz featuring elderflower liqueur, mint and prosecco ($8.99 each). Dishes: Catching a matinee at Steppenwolf or The Royal George Theatre? 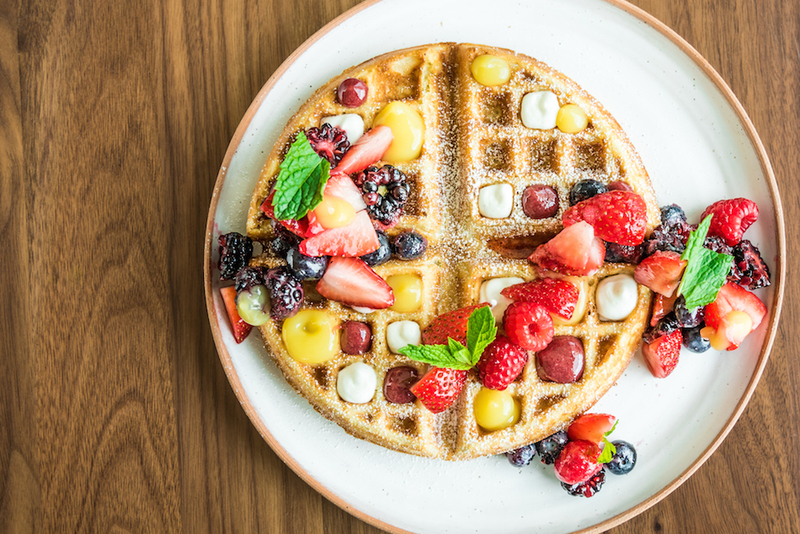 Swing into this Lincoln Park spot first for a plate of waffles topped with lavender butter, blackberry jam and creme Chantilly ($12) or the winter salad, which features truffle salt, salt-roasted potatoes, blood oranges, feta and hazelnuts ($16). Drinks: The menu features nine versions of the mimosa including the Autumn Solstice, where bubbly is blended with cinnamon apple cider syrup ($10). You can also build your own by ordering a bottle of prosecco with cranberry, orange, grapefruit and apple juices ($40). Brunch time: 9:30 a.m.-2:30 p.m. Saturday and Sunday. Reservations accepted. Dishes: The Bridgeport spot changes its brunch menu up weekly, offering specials based on a monthly theme. February is Mexican and dishes have included Nopalitos con Huevos Revueltos, cactus paddles, tomato, onion, and poblano and serrano chilis sautéed with scrambled eggs and served with rice, fresh flour tortillas and pinto beans simmered with garlic, onion and serrano chilis ($10). Drinks: The drink selection sticks to the basics with $8 bloody marys and $5 mimosas. Brunch time: Noon-4 p.m. Sunday. No reservations. Dishes: You can enjoy brunch all day at the Bridgeport counter-service spot, with options including breakfast tacos made with chorizo, egg, potato and peppers ($8) and chilaquiles featuring tomatillo salsa, cheese curds, two sunnyside-up eggs, housemade hot sauce, jalapeno, onion and cilantro ($9). Drinks: The $6 michelada is the most popular brunch drink, though if you just need caffeine, you can grab a cup of cold-brewed Bridgeport Coffee ($4). Brunch time: 11 a.m.-9 p.m. Tuesday through Thursday, 11 a.m.-10 p.m. Friday and Saturday, and 11 a.m.-8 p.m. Sunday. No reservations. Dishes: Get your seafood fix at the Wicker Park spot with dishes including a smoked salmon benedict featuring sautéed spinach ($16) and a lobster roll on toasted brioche accompanied by spiced chips ($26). Drinks: Wake up with a Metric Coffee espresso ($3) or cappuccino ($5) or relax with a cup of Gingerbread Dream or lemon chamomile tea from Rare Tea Cellars ($5). Brunch time: 10 a.m.-2 p.m. daily. Reservations accepted. Dishes: After a successful New Year’s Day brunch, the Wicker Park spot decided to open early every weekend to serve New Orleans-style fare including a shrimp creole scramble with parmesan, herbs and garlic toast ($11) and short stacks of Johnny cakes topped with honey butter, cayenne streusel and bourbon-spiked syrup ($7). Drinks: A Cajun spin on the bloody mary is garnished with housemade celery salt, baby corn, poached pearl onion, an Andouille sausage stick, pickled celery root and lemon ($7). Dishes: Brunch Italian style in Lakeview with savory scallion pancakes drizzled with maple syrup and served with fried eggs and center-cut bacon ($12) or a smoked fish board featuring Nova Scotia lox, smoked whitefish spread, cream cheese, capers, hard-boiled egg and cucumbers served with crostini ($14). Drinks: Try a vodka martini made with either coffee liqueur or chilled espresso ($10) or visit the bloody mary bar where you can load up your drink with shrimp, bacon, cheese, meats, pickled vegetables, hot sauce, horseradish, salts and spices ($12). Brunch time: 11 a.m.-3 p.m. Saturday and Sunday. No reservations. If you want to throw it back to some classics, check out our brunch picks from 2015! 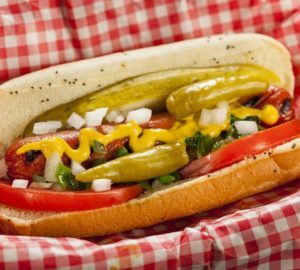 Some are offering new menu items and are just as good as the 2017 list! Which Chicago Coffee Are You?